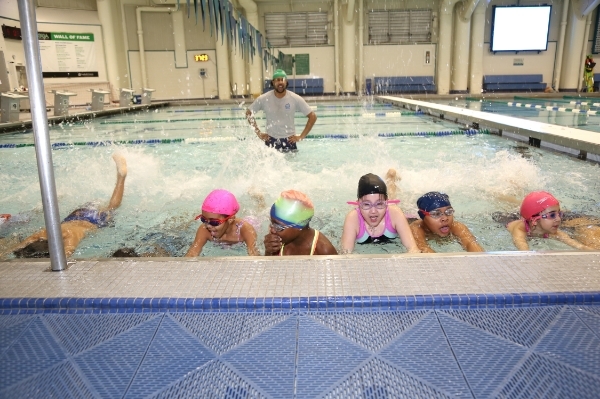 Fourth and 6th graders attend swim classes at Asphalt Green one morning each week. 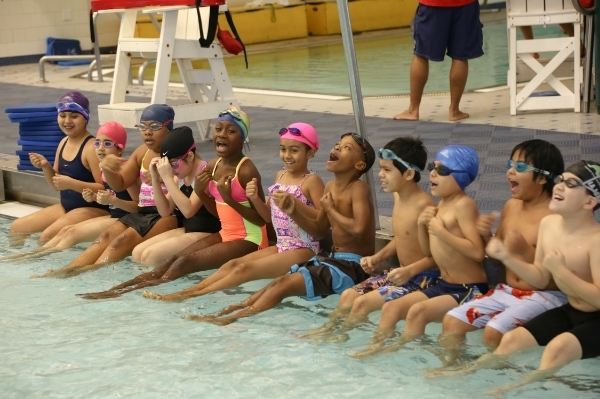 Students learn swimming fundamentals, including treading water, kicking, and free-style swimming. 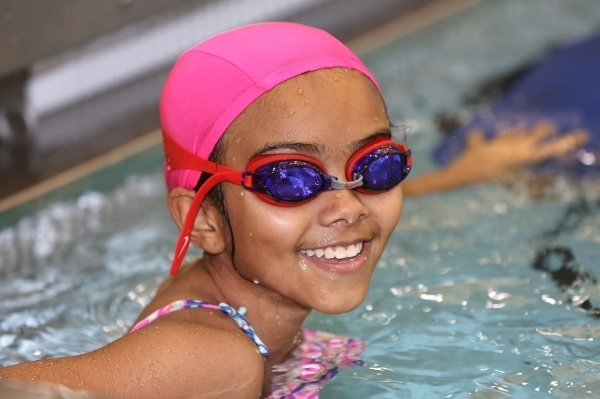 Fourth grader Chelsea smiles for the camera before using a kick board to kick the width of the pool! 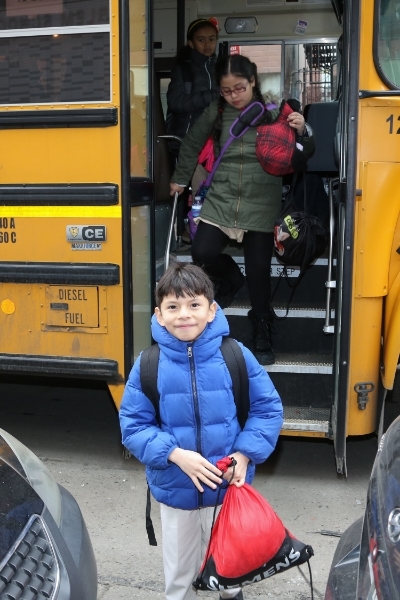 Students return to school by bus in time for a quick breakfast before their first class. 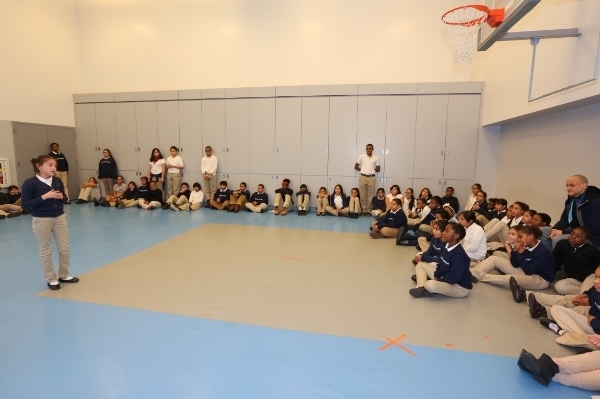 Seventh and 8th graders have 90 minutes of Fitness four mornings a week before classes. 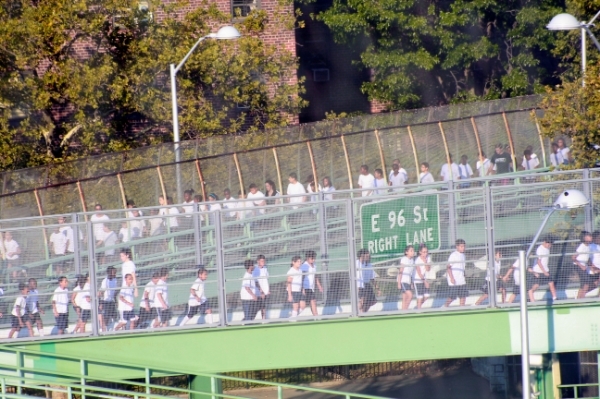 Students travel together across the foot bridge to the fields on Ward's Island. 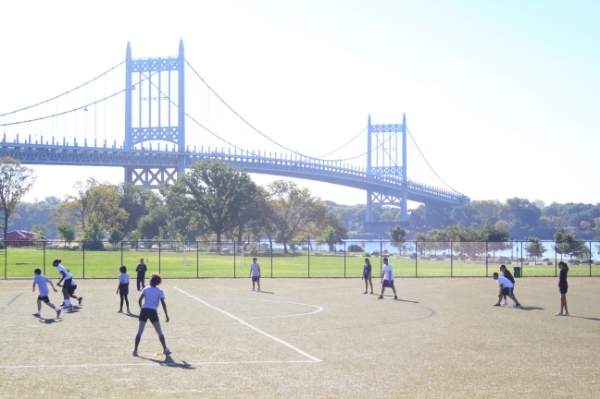 Organized sports teams also practice at Ward's Island every morning. Our boys and girls participate in rigorous tryouts for the soccer teams in the fall and for the lacrosse teams in the winter. Our boys' and girls' lacrosse teams, funded by the Andrew K. Dwyer Foundation, participate in various clinics with high school and college teams during their season. 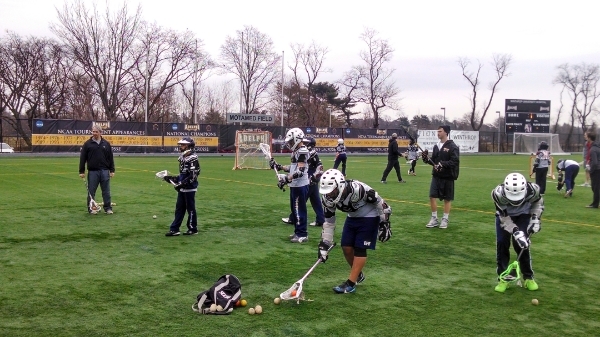 Above, our boys hone skills at Adelphi University, where they had the opportunity to work with experienced coaches before watching the state champion Garden City Boys' Lacrosse team compete. 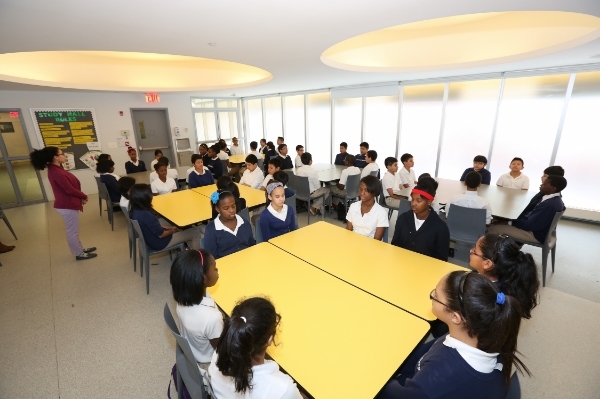 Our day begins with meditation, each class starts and ends with silence, and our entire school community concludes each day together in stillness before we leave into the evening. 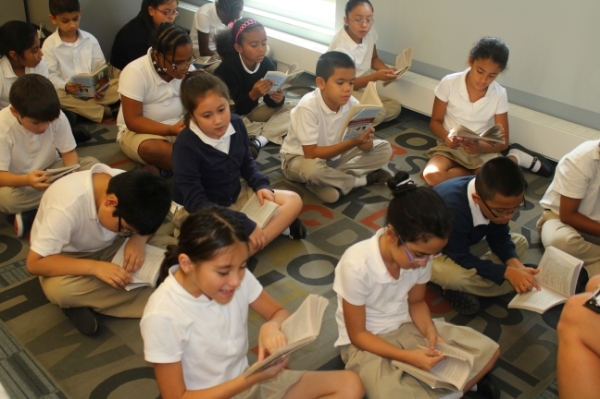 Fourth graders take turns reading aloud with their homeroom teacher. Within our Humanities program, students study history, geography, and evaluate current events with the same precision we use in literary exploration and with the same intention to gain clarity about the human condition, the human heart, and the state of the world. The EHS Poetry unit begins in January and culminates in our Annual Poetry Slam in the spring. 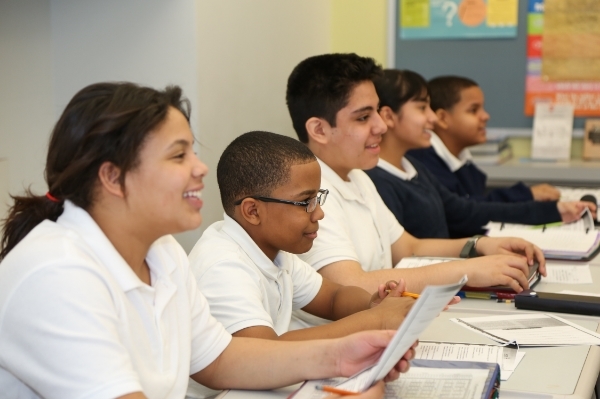 Here, 6th grade students work on their grammar and vocabulary in preparation for their writing. The Science program at EHS is based on inquiry and true experimentation. 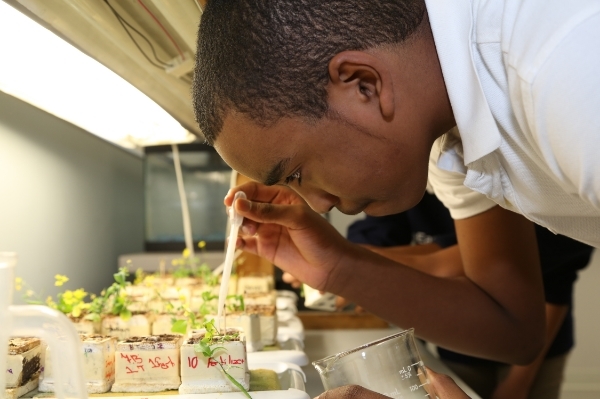 Here, 8th grader Carlito waters seeds as part of a unit on plant life. In the fall and spring, 7th and 8th graders harvest vegetables to learn about plant life cycles, and to supplement our lunch program! Here, students weigh green leaf lettuce after also harvesting red butterhead lettuce, bibb lettuce, arugula, and kale in our indoor greenhouse. EHS offers a vegetarian food program that features mostly organic, locally grown, and seasonal ingredients. 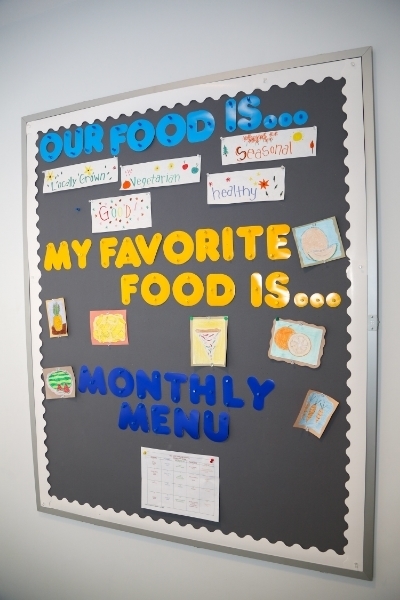 Breakfast and lunch is provided for each student daily. Sixth grader Geralisse picks up her lunch of whole wheat spaghetti with marinara sauce, caesar salad, and fruit. 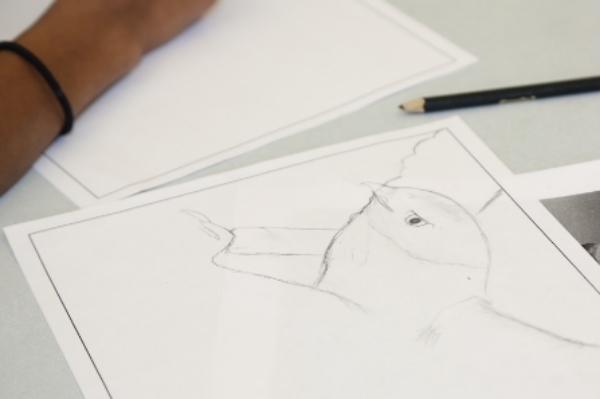 The East Harlem School initiated a new Visual Arts program in the 2013-2014 school year to teach foundational skills in sketching, drawing, and painting to all students. 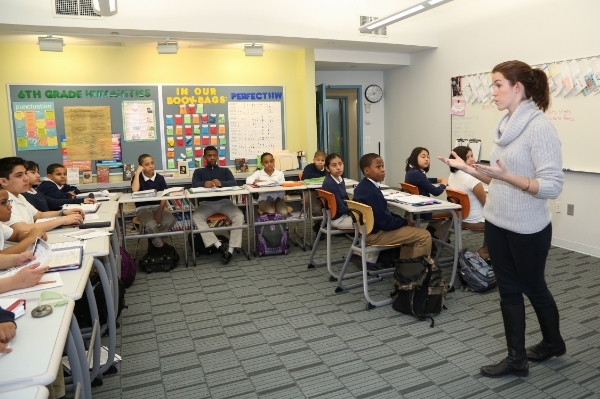 The primary goals of the program are to discover the art of the visual, increase patience, heighten levels of awareness, train the hand and eye to work together accurately, develop the ability to self-critique, use drawing as visual meditation to relax, and gain appreciation and empathy for the surrounding world. 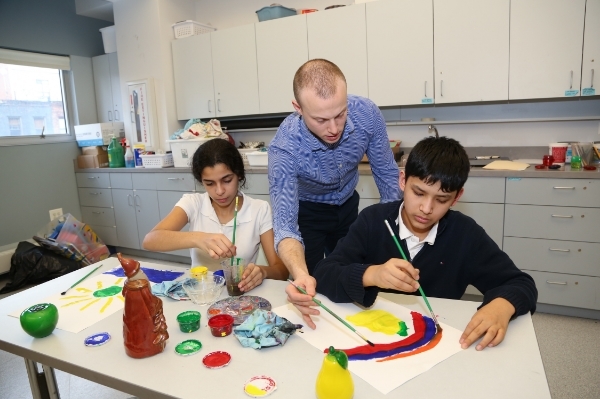 All grades at EHS participate in the art program, which often works with both the drama and humanities curricula. Students often work in small groups. 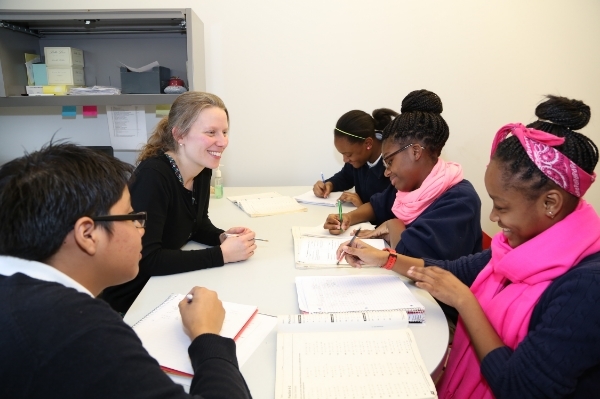 Above, 8th graders work with Dean of Faculty and 8th Grade Math Teacher Anne Ross. Students have the opportunity to participate in various club offerings including chess club, guitar club, community service club, dance club, and newspaper club, to name a few. Above, the choir club performs at their end of year recital. 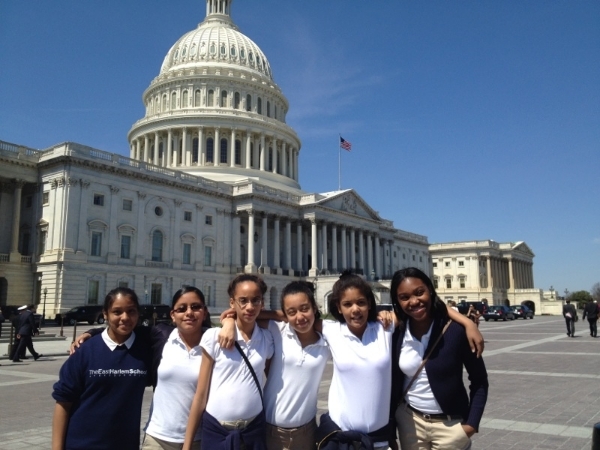 This past spring, a small group of EHS students traveled to Washington, D.C. where they met with Senators and Congressman, explored the city, and learned about our national government. 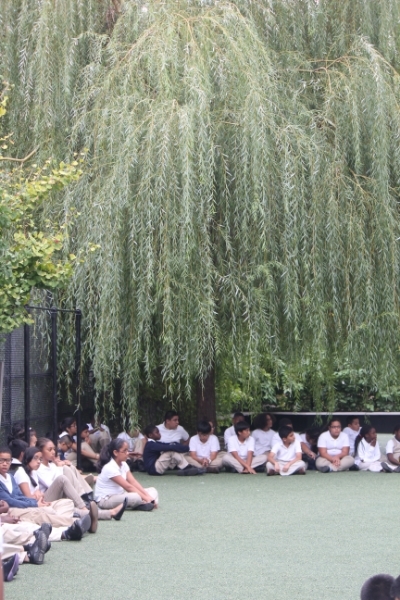 The East Harlem School offers robust outdoor education opportunities. Every summer, our rising 8th graders participate in a week long camping and wilderness exploration trip in Circleville, West Virginia. Students above take a break after a long day of hiking! Each day comes to a close with Circle, where students and teachers have the chance to make announcements and review important matters. Students also have the chance to perform memory challenges at Circle. Here, 4th grader Geraldine recites the Preamble to the United States Constitution. She nailed it! In the warmer months, we conclude each day in our beautiful yard.